Thrill seekers love the GoPro camera. And so do risk-taking investors. Shares of GoPro (GPRO) gained more than 13% Monday. The stock has gone up dramatically in its first three days as a public company, surging nearly 70% from its offering price. 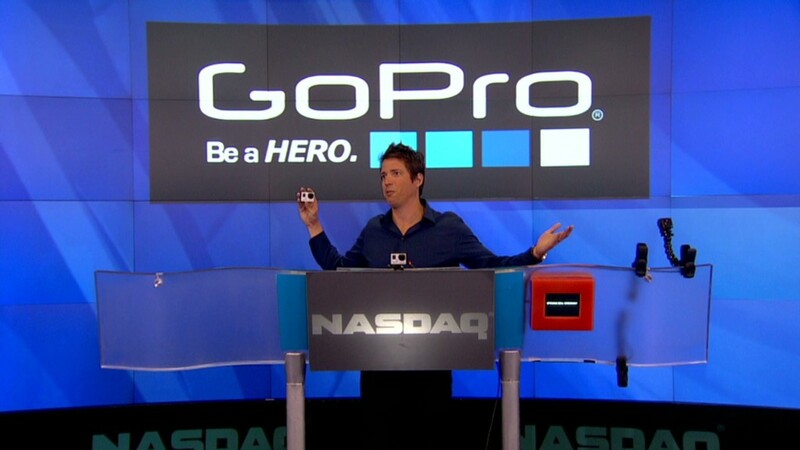 GoPro went public to much fanfare on Thursday. But is buying the stock at these levels now more dangerous than jumping out of an airplane with a GoPro Hero camera on your head? The only Wall Street analyst who currently covers the company says he's a little worried about the stock's meteoric rise. But he adds it might be a mistake for long-term investors to get too caught up in valuation concerns. Charlie Anderson, an analyst with Dougherty & Co. who initiated coverage on GoPro just before its initial public offering last week, said he's still a fan of the stock -- even though it's now well above his target price of $28 a share. 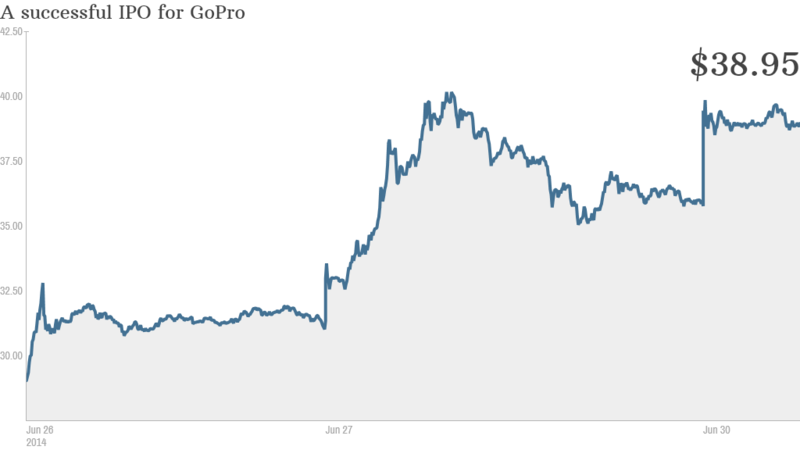 GoPro priced its IPO at $24 and is now trading above $40. He conceded that the stock is "obviously trading on euphoria," but he thinks that the reason for this is because there is such a small supply of shares available. The company sold about 18 million of its 123 million shares outstanding during the offering. Anderson said that because that was a mere sliver of the company's stock, investors that didn't get a piece of the offering before the IPO were forced to buy it once it started trading. That has driven the price higher. Anderson thinks that many big hedge funds and mutual funds do not want to miss out on GoPro because it should be able to report strong results for the next few quarters. He's predicting sales growth of nearly 20% this year. And GoPro, unlike many other hot tech IPOs, is profitable. 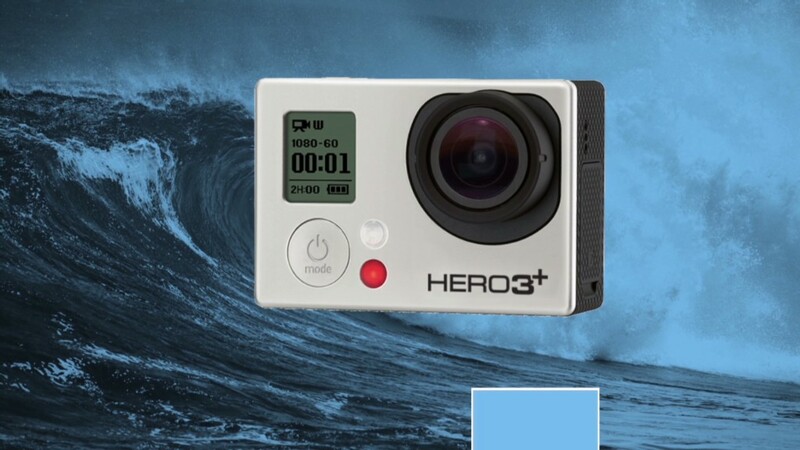 Still, isn't GoPro a bit frothy at this point? Shares are trading at about 52 times his earnings forecasts for this year. And with a market value of $5 billion, GoPro is worth more than several well-known companies in the S&P 500, including Cablevision (CVC), GameStop (GME) and Urban Outfitters (URBN). There are obvious risks for GoPro besides valuation too. What happens if Apple (AAPL) and Samsung start building more durable smartphones with even better cameras? Won't that hurt GoPro? Remember the Flip Video camera that was all the rage a few years ago? Cisco (CSCO) bought the company ... only to watch the camera quickly lose relevance once it became easy to shoot and upload videos on the iPhone and other smartphones. There's also the tale of Garmin (GRMN). The GPS maker's shares are worth only about half of their peak price from 2007. Like Flip Video, Garmin no longer was a must-buy for consumers once free navigation apps like MapQuest, Waze and Google Maps became available. Anderson isn't expecting GoPro to suffer the same fate though. 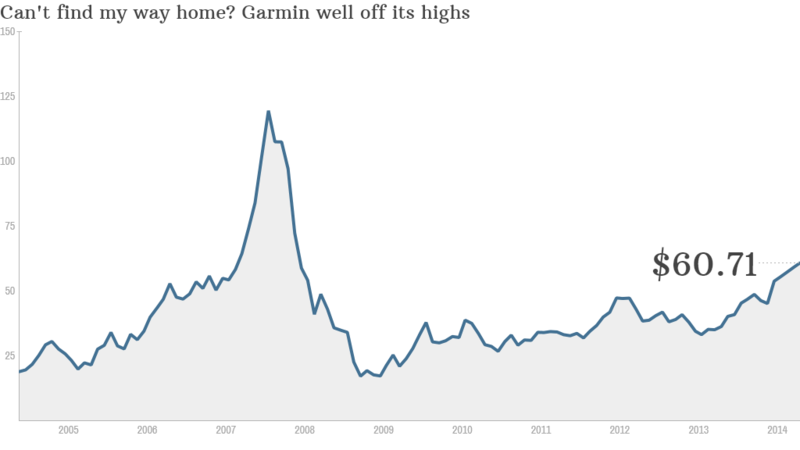 "Why did Flip go away and Garmin decline? Both of those devices were subsumed by the smartphone," he said. "GoPro does not have the same risk. Nobody is strapping their iPhone to their helmet while riding a surfboard." It's a good point. Anderson also noted that his estimates for the stock are likely to be lower than many other Wall Street analysts. Anderson does not work for one of the investment banks that was involved in helping to take GoPro public. That's why he's allowed to launch coverage now. Analysts at the underwriters have to wait 25 days before they can issue their first reports. Analysts at firms that are involved in IPO underwriting tend to be a little more bullish than those who don't have the proverbial skin in the game. "I would not be shocked if the bankers have higher estimates," he said. "This stock is going to be so volatile but it is set up for a great quarter. I would hate for people to worry about valuation with great numbers ahead of it." He said that investors who didn't buy momentum stocks like Chipotle (CMG) and Google (GOOGL) when they went public now realize with hindsight that worrying about their valuations back then was silly. Comparing GoPro to Google and Chipotle is high praise. So if you enjoy a good adrenaline rush, GoPro may be the right stock for you. But it's still not for the faint of heart.